With this GSM signal booster you can cover a large area with a strong and high quality signal of mobile services. It can effectively cover 2 000 square meters. It is suitable for large hotels, office and residential buildings increasing the signal strength and thus prolonging the operation time of the mobile phones and reduces harmful emissions from them. Its installation requires no special skills and knowledge. You have to attach the reception and emission antennas, plug the power cord and this amplifier is ready to use. When using the GSM signal booster indoors you should put attach type of antenna. They can work with all types of GSM signal boosters. 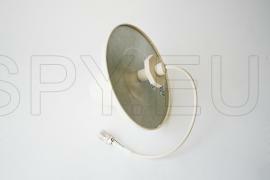 For the effective coverage with GSM signal in the desired area you will need an antenna. 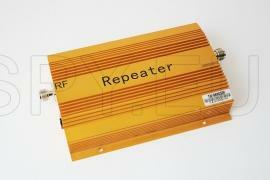 If you use the amplifier outdoor you will need to use the outdoor antenna. 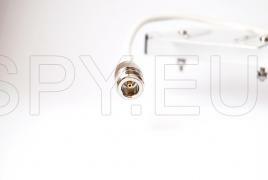 You also need such an antenna if you are receive the GSM operator signal outdoors. 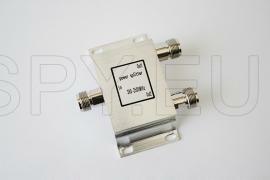 If you wish to place two antennas at the output of your GSM signal booster, you will definitely need this two-way splitter. With it you can split the output into two by placing two antennas for covering the area more effectively.